Farooq Sattar of the Muttahida Qaumi Movement – Pakistan on Saturday levelled staggering allegations against the Pakistan Peoples Party, accusing the latter of indulging in horse-trading and of trying to turn MQM-P lawmakers over to their side. 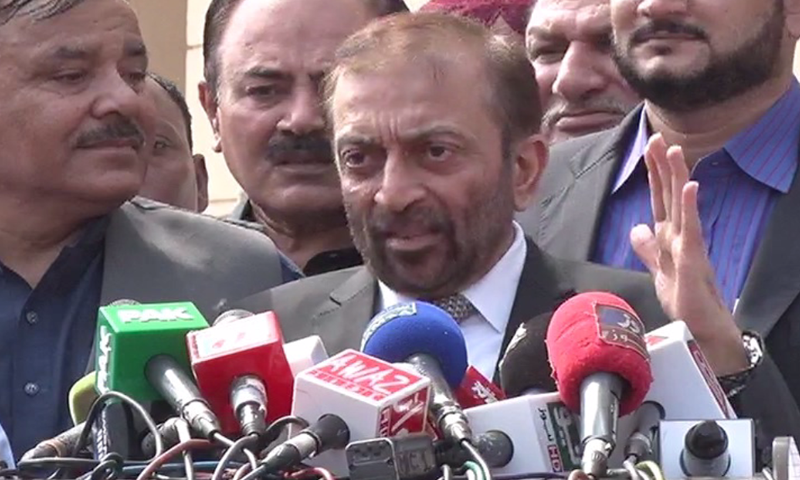 Speaking to media representatives during a press conference outside the Sindh Assembly, the senior MQM-P leader said it was the PPP’s hobby to indulge in horse-trading for their own benefit. On the other hand, Sattar said “everyone can see the role MQM has played in the province in the past 35 years”, adding that his own specific role and services were there to see and assess. “Nasir Shah (of PPP) is here and his leader is present as well. All the feudals should come and speak about how much money they have made, how much they have stolen, and how much taxes they have paid, and how much property they have accumulated. They should take an oath and appear before the camera,” the MQM-P leader demanded. “Me, every MNA, MPA, and senator from our party are willing to appear before the camera. Those about to be appointed senators should also testify,” Sattar said. With reference to today’s election to the Senate, the MQM-P leader said members of his party had witnessed blatant and shameless attempts at horse-trading. “Our female and male MPAs, both were subjected to such attempts [of horse-trading]…some of them arrived to the assembly in the same car as two PPP MPAs, went to the chief minister’s chambers, then went to cast their votes and were then sent on their way,” Sattar alleged. He further said that the Senate election and the MPAs had been made hostage and the lawmakers’ helplessness was being taken advantage of. A visibly upset Sattar alleged that the election “was turned into an auction where bids were made…I strongly condemn this”. “I warn the PPP. In their greed to get their senators elected, they have dug their own grave,” he declared. “The way they have rigged the elections with horse-trading, I strongly condemn this…I am registering a protest with the ECP through the media and will also formally file a protest in writing, saying that this election was not fair, free and impartial and the ECP should take notice of this,” he urged.